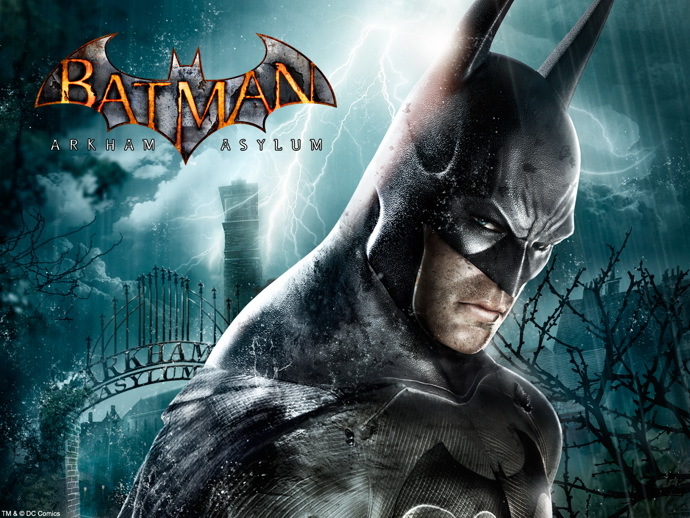 The Batman: Arkham Asylum Game of the Year Edition for consoles comes with TriOviz 3D support (the version for PC is left out without TriOviz 3D support!). The GOTY release for both PlayStation 3 and Xbox 360 comes with some sort of 3D glasses using the TriOviz 3D technology, whatever that is, allowing console games to view the game in stereoscopic 3D format on their normal non 3D-ready TVs. TriOviz 3D supposedly offers better results that quite popular cheap red-cyan anaglyph glasses (although it still relies on color filters), as this technology developed by the French company TriOviz is designed to offer natural colors and sharp images without any ghosting and also without the discomfort, fatigue, eye strain etc that are typical for the anaglyph glasses after longer use. The TriOViz technology relies on lower separation levels in order to provide pretty good looking, almost like when played normally, image on the TV screen when viewed without the 3D glasses on... for example by people not playing the game. "We tap into the game engine data to detect the orientation of the camera and we apply the 3D effect based on this plus the depth information available. Because we do not rely on the display mechanism to switch between two images (polarized screen, high frequency flickering), we need a way to display the 3D information, hence the colored filters on the glasses. We keep this fringing to the minimum so the image still looks good when someone watches you playing, without the glasses." - To read the article at Eurogamer - TriOviz 3D: Too good to be true?